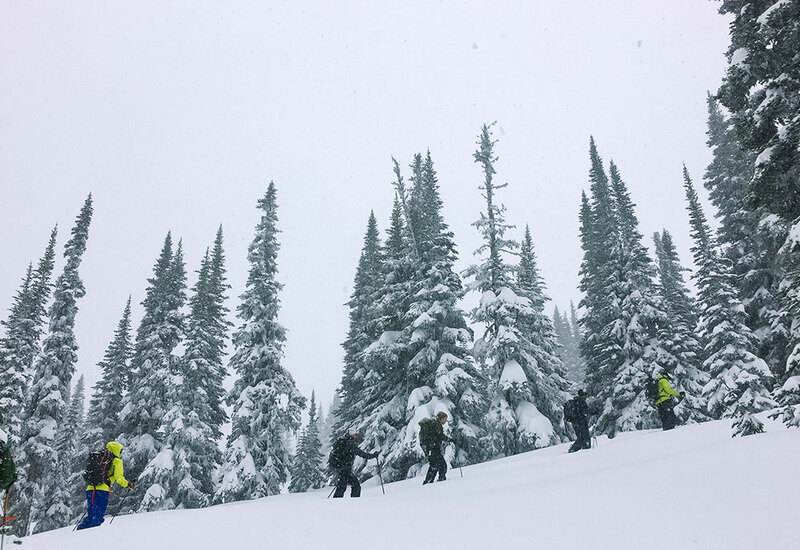 The massive snowfall and endless terrain of Whitecap offer the perfect backdrop for a backcountry adventure. We recommend staying in Pemberton or Whistler the evening prior to departure to be well-rested for the first day. 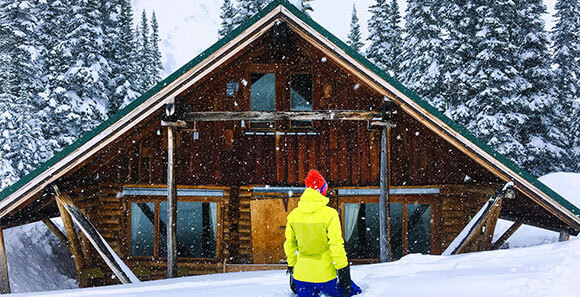 Arrive in your ski gear at Pemberton Airport at 10:30am ready for adventure. We will fly into McGillivray Pass Lodge, receive a safety briefing and head out for the first tour. After 3-4 hours of skiing we'll head back to the lodge to unwind and get to know the group. Wake up and eat breakfast together at 7:30 am. Pack your lunch and head out between 8:30 - 9:15 am for a full day of skiing or split boarding. 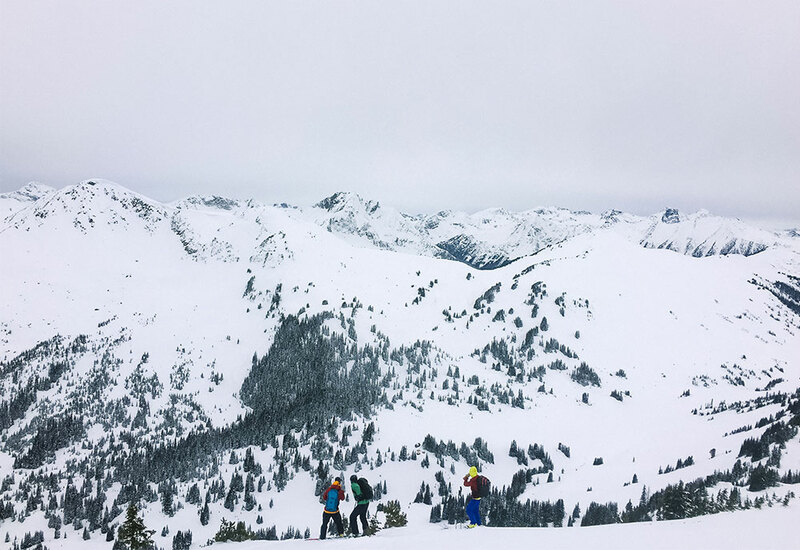 Whitecap Mountain Guides will make suggestions and describe touring options to us to contribute to decisions about what is both achievable, and appropriate. Enjoy a hot shower or sauna before dinner, or just hit the sofa. Later we'll enjoy a freshly prepared family-style meal before bed time. Repeat! We will split into two or three groups by ability and choose our terrain under the leadership of certified mountain guides. The 'moderately paced' group will ski up to 1000m /3000ft / day, whereas the 'aggressively paced' group will ski up to 3000m /10,000ft /day. After a day of skiing, we'll head back to the lodge where we'll be greeted with delicious après ski snacks and beverages. Repeat! Enjoy your last day of late season riding. The long days and a quickly stabilizing snowpack allows for the widest range of terrain options, summits and steep descents. More convective snowfall brings some of the best quality snow of the season, and we will take full advantage. On our final night, we'll enjoy a special celebration with the group before preparing to head back home. Rise and shine for your final breakfast. 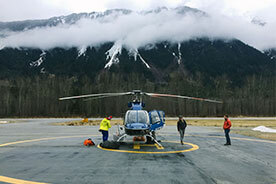 The first helicopter will depart at 9 am to take our group back to Pemberton and head home. It will take about 2 hours to travel back to Vancouver, so don't schedule any flights before 1pm. 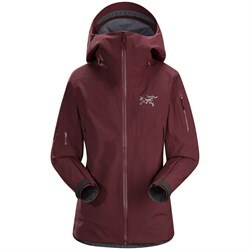 Every evoTrip Whitecap traveler will be kitted out with some sweet gear from our partners, Airblaster, Arc'teryx, and Giro. So not only do you get to come ski some of the best snow on the planet, you'll take home some goodies that you can use far beyond the trip! Whitecap is located 75km North East of Whistler and 50Km NE of Pemberton in beautiful British Columbia. The area offers 85 square kilometers of terrain with a combination of east-west valleys and navigable ridgelines with space for big open turns leading into gladed trees and natural half pipes. We'll split into two groups and find the best terrain on days ranging from 1000 to 3000 meters. 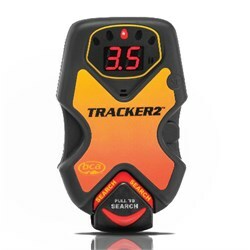 Proper equipment in good working order makes for a comfortable and worry-free outdoor adventure. 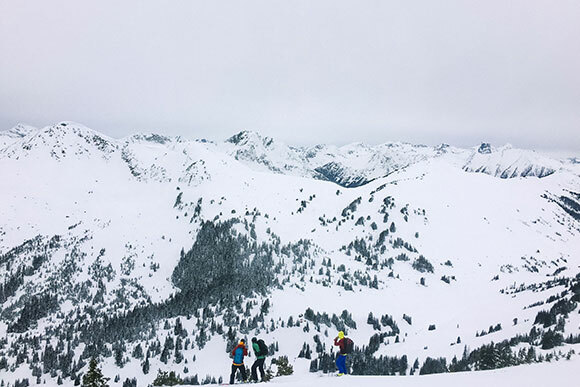 Whitecap Alpine recommends that all guests have current powder skiing equipment to ensure the best possible experience and pack layers for changing conditions. We also advise that all specific safety equipment be tested prior to arrival. Yes. If you have a roommate request, please let us know. By default, we will place two-four guests per room. No, unfortunately we are unable to accommodate private rooms on this trip. 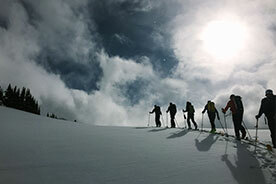 We recommend this trip guests with some backcountry touring experience and at least a moderate physical fitness level. We plan to run two separate groups of guests each day. Every day at Whitecap is different. An ‘easy day’ will include 1-2 runs close to home (450-700m/1500-2000 ft) followed by lunch at the lodge, or a cross-country ski in the valley. 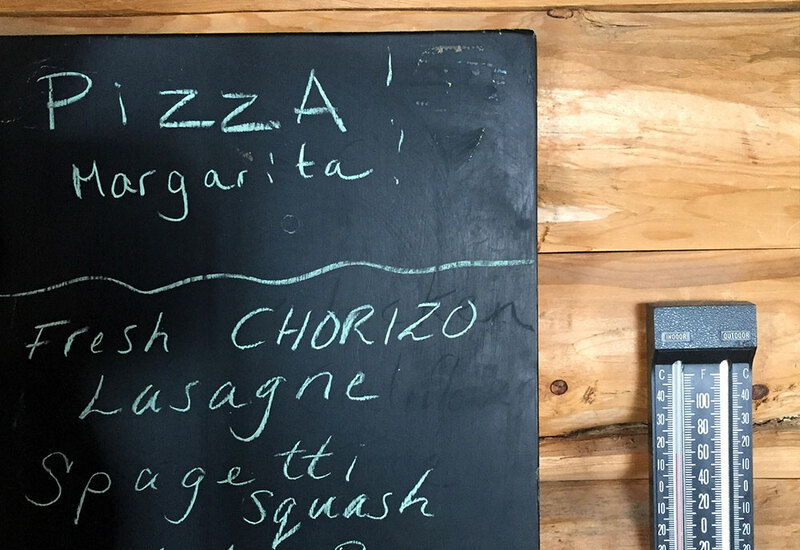 A ‘large day’ includes various high alpine circuits up to 1500-3000m/6000-10,000 ft of skiing and snowboarding, with lunch on the go. Are rentals available or do I need to bring my own equipment? Please bring your own gear for this trip and ensure that everything is in working order. 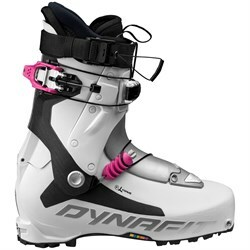 We may have some demos available from Dynafit for interested participants. 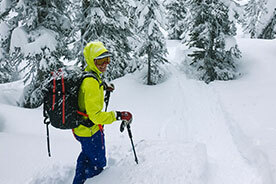 Avalanche safety equipment is required for backcountry riding and rentals are available upon request. 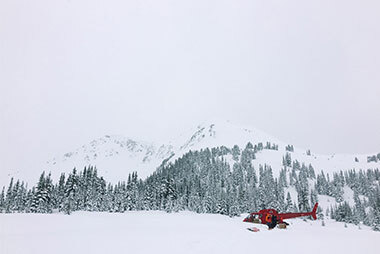 This trip includes: Transportation by helicopter from Pemberton to McGillivray Pass Lodge, lodging in a double or quad room, all meals and 3 days of guided skiing or snowboarding. Transportation to and from Pemberton Airport. Wifi is available for purchase for $15 for the week. Alcoholic and specialty drinks (you make bring your own if you would like to pack it). We also recommend bringing along a tip for your guide (evo will provide a standard tip). 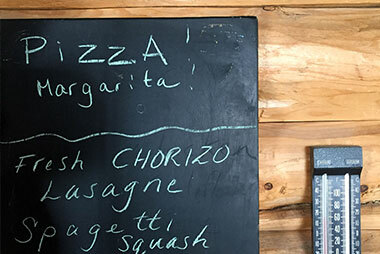 Yes, and… The lodge will do it's very best to accommodate all dietary restrictions, For special needs, we recommend you contact us via email (care@evo.com) with your specific questions. For all dietary restrictions, we recommend that you bring some snacks just in case. The deposit for the trip is non-refundable and cancellations will be subject to a cancellation fee (see policy below). For this reason, we recommend you consider purchasing travelers insurance, which will cover the cost of your trip in extenuating circumstances. All cancellations must be submitted to the Company in writing, are effective as of the date we receive them according to our internal records, and will be subject to a cancellation fee as follows (amounts are per person and only apply to amount paid after the non-refundable deposit amount): - Cancellation 60 days or more prior to trip departure - Non-Refundable Deposit - Cancellation between 30 and 59 days prior to trip departure - 50% of total booking cost - Cancellation less than 30 days prior to departure - 100% of total booking cost - Cancellation policy for custom trips may differ from these terms and will be communicated prior to booking - No refunds will be made if you voluntarily leave a trip for any reason after the trip has begun. The same applies if you leave a trip or cannot fully participate in a trip due to injury or illness. Refunds will be at the discretion of the Company if you are involuntarily forced to leave a trip for any reason. No refunds will be made for any accommodation, transport, sightseeing, meals or services not utilized. Yes. You can pay the full amount now, but we will consider $1,000 to be a non-refundable deposit in accordance with the contract. The full payment is due 60 days prior to departure. You are responsible for booking your own travel and you must arrive at the Pemberton Airport the appointed time on your day of departure. The guides at Whitecap are incredible. It snowed over 50cm while we were there and the guides knew exactly where to take us for amazing skiing that was safe and accessible. 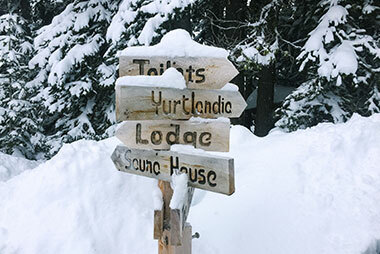 Hot meals, comfortable accommodations, and a warm shower after a day of hard skiing… can’t get much better than that. January 5 We recommend staying in Pemberton or Whistler the on January 4th to be well-rested for the first day. 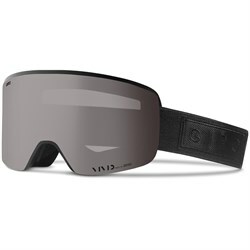 Arrive in your ski gear at Pemberton Airport at 8:00am ready for adventure. We will fly into McGillivray Pass Lodge, receive a safety briefing and head out for the first tour. After 3-4 hours of skiing we'll head back to the lodge to unwind and get to know the group. January 6 Wake up and eat breakfast together at 7:30 am. Pack your lunch and head out between 8:30 - 9:15 am for a full day of skiing or split boarding. 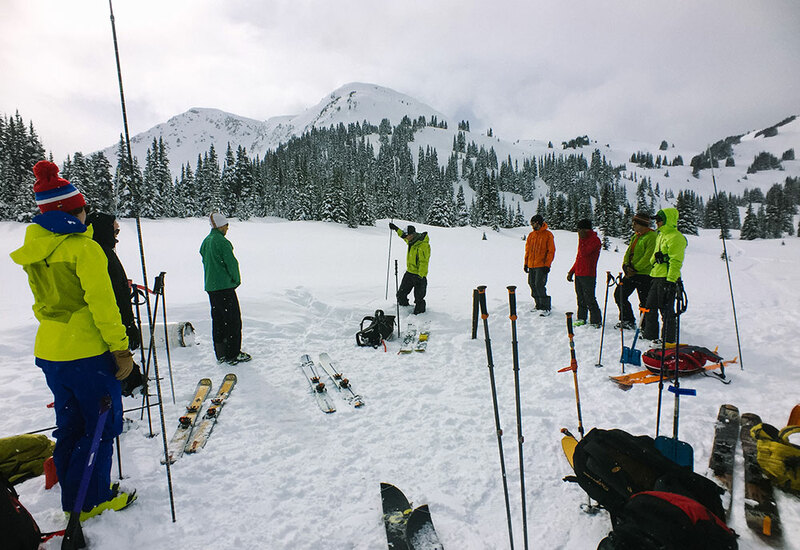 Whitecap Mountain Guides will make suggestions and describe touring options to us to contribute to decisions about what is both achievable, and appropriate. Enjoy a hot shower or sauna before dinner, or just hit the sofa. Later we'll enjoy a freshly prepared family-style meal before bed time. January 7 Repeat! We will split into two or three groups by ability and choose our terrain under the leadership of certified mountain guides. 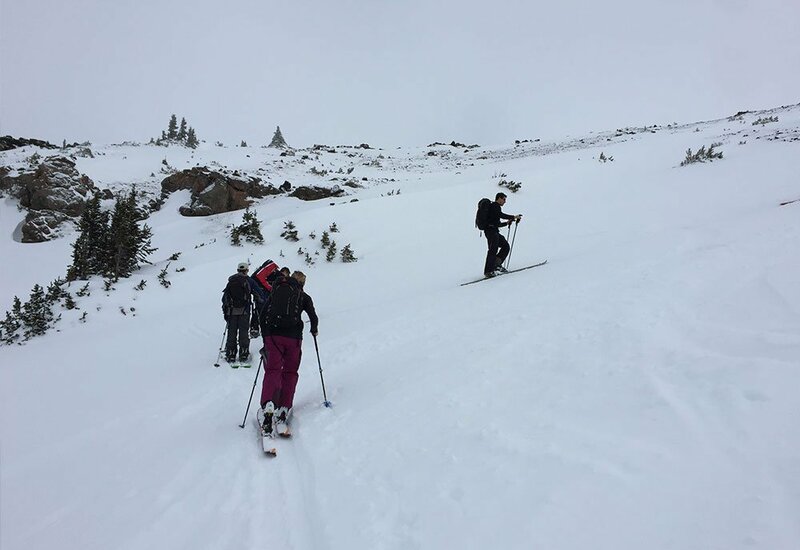 The 'moderately paced' group will ski up to 1000m /3000ft / day, whereas the 'aggressively paced' group will ski up to 3000m /10,000ft /day. After a day of skiing, we'll head back to the lodge where we'll be greeted with delicious après ski snacks and beverages. January 8 Rise and shine for your final breakfast and get ready to enjoy your last day of early-season riding. 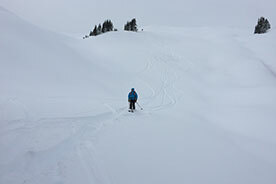 January generally sees deep, extremely light and dry high-quality powder snow available on all aspects and elevations. 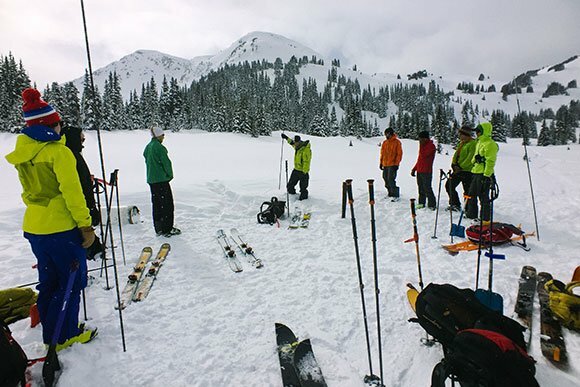 We'll head out for about three hours of skiing, hitting as much terrain as possible before loading our gear and heading out around noon, expected Pemberton arrival at 1pm. It will take a few hours to get back to Vancouver, so be sure to schedule evening flights if you are traveling via air. 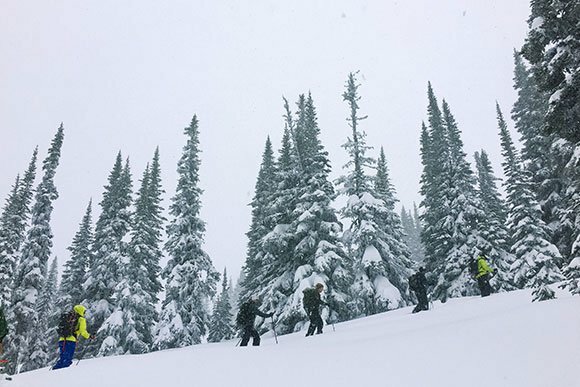 The massive snowfall and endless terrain of Whitecap offer the perfect backdrop for an all-women's backcountry adventure. March 26 We recommend staying in Pemberton or Whistler the evening of the 16th to be well-rested for the first day. 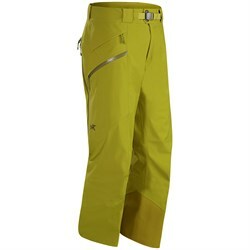 Arrive in your ski gear at Pemberton Airport at 8:00am ready for adventure. We will fly into McGillivray Pass Lodge, receive a safety briefing and head out for the first tour. The long days and a quickly stabilizing snowpack allows for the widest range of terrain options, summits and steep descents. More convective snowfall brings some of the best quality snow of the season, and we will take full advantage. March 27 Wake up and eat breakfast together at 7:30 am. Pack your lunch and head out between 8:30 - 9:15 am for a full day of skiing or split boarding. 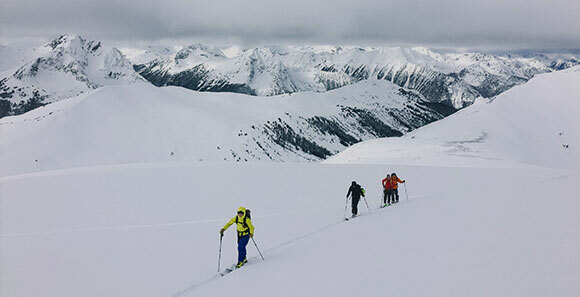 Whitecap Mountain Guides will make suggestions and describe touring options to us to contribute to decisions about what is both achievable, and appropriate. Enjoy a hot shower or sauna before dinner, or just hit the sofa. Later we'll enjoy a freshly prepared family-style meal before bed time. March 28 Repeat! We will split into two or three groups by ability and choose our terrain under the leadership of certified mountain guides. 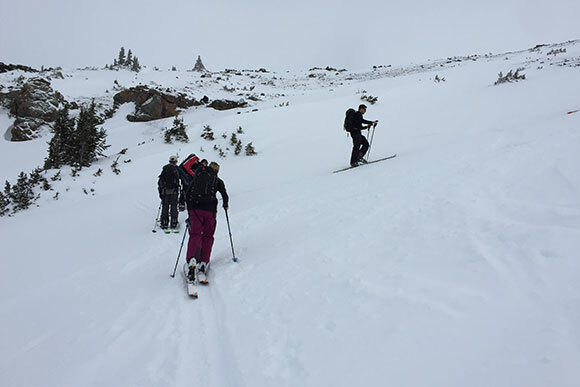 The 'moderately paced' group will ski up to 1000m /3000ft / day, whereas the 'aggressively paced' group will ski up to 3000m /10,000ft /day. 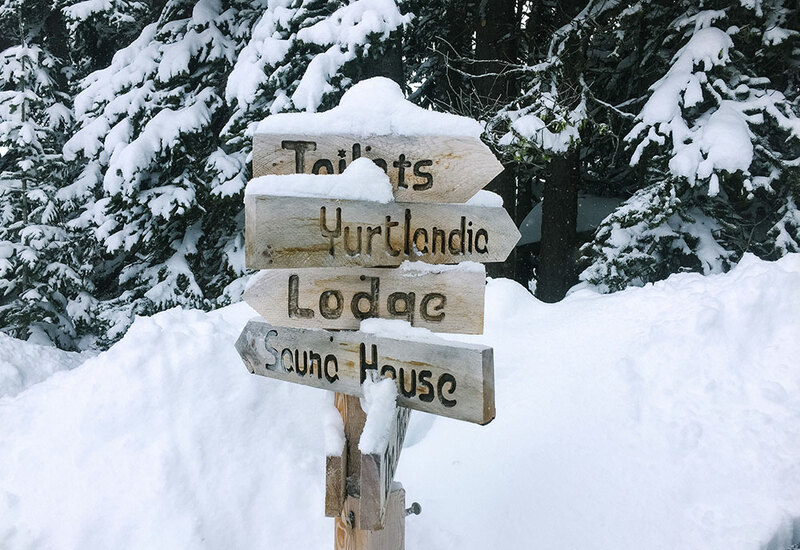 After a day of skiing, we'll head back to the lodge where we'll be greeted with delicious après ski snacks and beverages. March 29 Repeat! Enjoy your last day of early-season riding. On our final night, we'll enjoy a special celebration with the group before preparing to head back home. March 30 Rise and shine for your final breakfast. 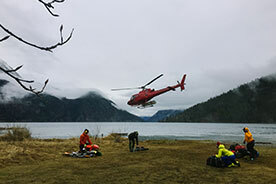 The first helicopter will depart at 9 am to take our group back to Pemberton and head home. It will take about 2 hours to travel back to Vancouver, so don't schedule any flights before 1pm.